We all know St Kilda as a home to a plethora of exciting restaurants, each putting their own twist on a wide variety of cuisines. Its array of delicious fare doesn’t neglect our vegetarian and vegan friends. For breakfast, lunch and dinner, there are plenty of meat-free meals to enjoy in St Kilda – from the super healthy to the little bit naughty. Relatively new kid on the block, Matcha Mylkbar, is a superfood haven and a place to indulge in the weird and wonderful. The entirely vegan menu is full of surprises and perfect for a late breakfast following a yoga class or walk on the beach. The Acland street café is certainly a place for the health nuts and is a new venture from the local Matcha Maiden team, so naturally the menu is teeming with green tea goodness. 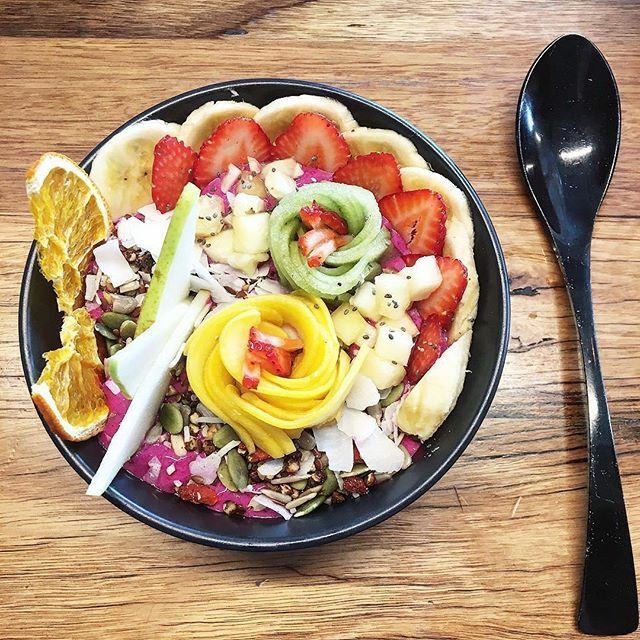 Tip: the Superfood Bowls and Blue Lates are a must! This Bohemian vegetarian restaurant is staffed by volunteers and offers a casual, pay-as-you-feel dining experience. St Kilda was the very first location to house this non for profit chain of restaurants which is open for Lunch and Dinner. The set menu is delic offering Okonomiyaki, Veggie Burgers, Green Thai Curry, Vegetable Wraps, Salads, Lasagne and more! This casual veggie diner just next behind Luna Park is incredibly popular, especially on a weekend at lunchtime. Sister of Soul boasts a huge menu full of cuisine from all around the world – from Vietnamese and Mexican to Italian and classic American. There is also a number of gluten free and raw options available. TIP: try the Jumping Jack Burger featuring pulled Jackfruit – an uncanny imitation of pork! 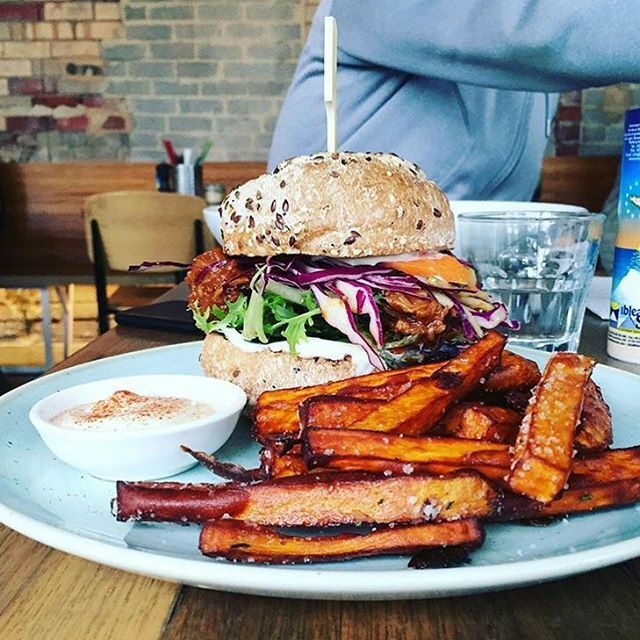 Set in a casual atmosphere on Fitzroy Street, Veg Out Time is perfect for a quick lunch, dinner or late night snack. Experience positive eating with a menu of simple but tasty Asian dishes which are mostly vegan and easy on the wallet. Eat in and watch the traffic on bustling Fitzroy Street or take-away and enjoy a night in. Tip: the Mixed Bean Dahl and Veggie Samosas are to die for! A hip, modern restaurant with arty decor, serving street-style Indian cuisine, craft beer and wine. What more could you want? Babu Ji is a St Kilda institution with a delectable array of vegetarian dishes including Pomegranate and Green Mango Powders Samosas, crunchy Cottage Cheese Finger Balls and our favourite… Pani Puri – fried puff pastry balls with mashed potatoes and chick peas! 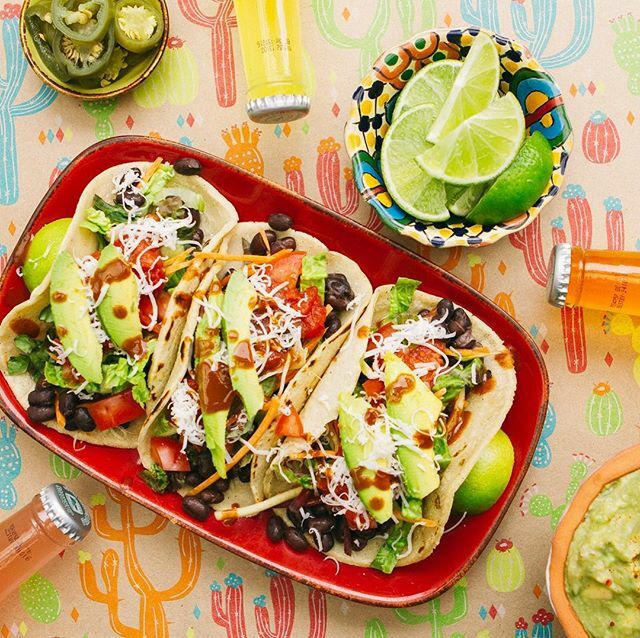 This funky restaurant specialises in vegetarian Mexican street food, serving up everything from Chargrilled Tofu Tacos to Nutella Melt Tortillas. TIP: the gluten free fries served with “Trippy Sauce” are a must! Mr Natural pride themselves on creating delicious, gourmet vegetarian pizza using the freshest ingredients and quality, organic wholemeal flour bases. Anything on the menu can be made vegan and gluten free options are plentiful. We recommend taking a lentil dahl pizza out into the beer garden with a drink and some company. St Kilda’s vegetarian and vegan scene is absolutely thriving and is a must-try for even the most passionate of meat lovers. Add these veggie friendly restaurants to your list of local favourites. Looking for a quick and easy bite to eat? Bay City have a delectable range of Veg Only Burritos including the infamous vegie Breakfast Burrito for the early morning risers. Tip: make the most of their “build your own Burrito” option!